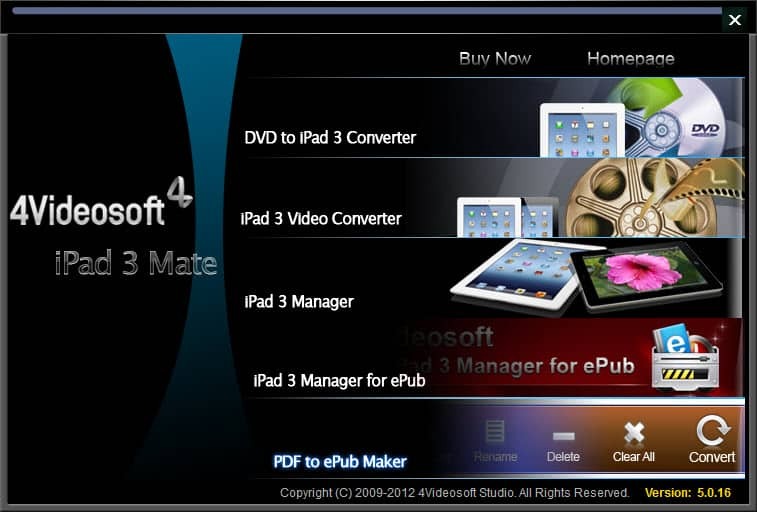 4Videosoft iPad 3 Mate packs with DVD to iPad 3 Converter, iPad 3 Video Converter, iPad 3 Manager, iPad 3 Manager for ePub and PDF to ePub Maker, which convert any DVD and popular video to iPad 3, transfer various files between iPad 3 and PC . DVD/video to iPad 3, transfer all files for iPad 3 and convert PDF to ePub for iPad 3. PDF to ePub for iPad 3. Shift Scheduler is a Microsoft Excel spreadsheet that creates employee schedules, and tracks the number of hours that have been scheduled. Get pictures and photos from multiple Excel files quickly. This application will scan your xls files and save the embedded graphics found within to external bitmap files.